The crypto downturn may have continued to ravage this industry’s startups, with an exchange even deciding to shutter all operations, but one facet of this nascent sector has continued to swell. For those who missed the memo, this facet is the Lightning Network, an off-chain system that facilitates instant, low-cost, scalable Bitcoin transactions. Per data gathered by 1ML, the Lightning Network has surmounted a capacity of 600 BTC, just weeks after it breached the 500 BTC milestone. As of the time of writing, the scaling system can facilitate upwards of 628 BTC, $2.18 million, at maximum capacity. While some skeptics, like Ethereum’s Eric Conner, took to Twitter to critique the seemingly low levels of Lighting adoption, many say that the lackluster capacity figures are for good reason. Moreover, seeing that Lightning has worked (and quite well at that), some see skepticism towards the Bitcoin protocol as warrantless. In response to Conner’s quip about Lightning, in which he stated that 2,000,000 Ether (~$200 million) is locked in decentralized finance protocols, Elizabeth Stark of Lightning Labs noted that the scaling system is still in beta, adding that certain channels are intentionally-limited to facilitate a low sum of BTC. Udi Wertheimer, a leading cryptocurrency programmer, explained that the anti-Lightning comment is “idiotic,” noting that Conner’s use of “stupid metrics” is unjustified. The Lightning Network’s swelling capacity hasn’t been the only industry occurrence that has Bitcoin’s biggest fans buzzing. One week back, Hodlonaut, a Lighting Network crusader and self-proclaimed “HODLer,” took to his Twitter page to start an interesting community-run initiative. In a tweet that has since garnered traction, the Bitcoin enthusiast noted that he wanted Lighting-friendly users to start a chain, whereas participants would send marginally more BTC with each so-called “hop” on the scaling solution. 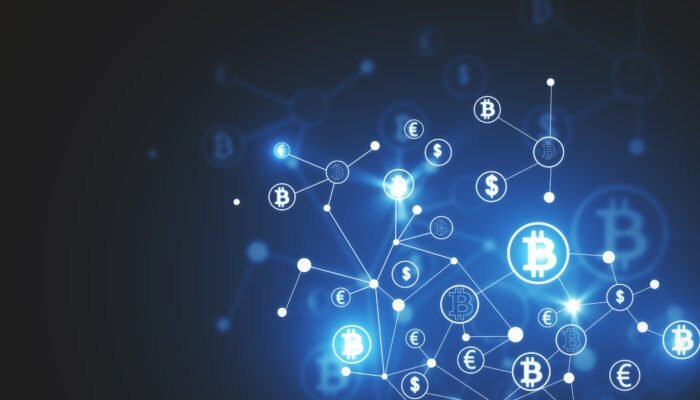 While the initiative wasn’t originally named, it became known as the Trust Chain as some of the crypto space’s most prominent influencers threw their hat in on the matter. Participants included Anthony “Pomp” Pompliano, the founder of Morgan Creek Digital Assets, Klaus Lovgreen, and John Carvalho of Bitrefill. Marty Bent, a long-time Bitcoin-centric content creator, recently commented on the Lightning Network’s potential in a recent tweet. Speaking on his participation in the Trust Chain event, which has now facilitated 1.6 BTC in transactions from 122 participants, Bent remarked that he was sent $90 in cryptocurrency “instantly, with basically no-fee, no intermediary, and no chance of being censored. Crazy to think that someone from Singapore just sent me $90 (2.6M sats) instantly, with basically no-fee, no intermediary, and no chance of being censored. And with this in mind, Bent briefly touched on Bitcoin’s long-term potential, noting that the network’s rise to power, as it were, is inevitable. The recent Trust Chain torch holder’s comment comes just weeks after Travis Kling, the head of Ikigai, also remarked that there is an inevitability to Bitcoin. The Trust Chain seems to still be running hot, but who will take the helm next? Bitfury Group, a leading industry upstart, recently unveiled products and ventures that could bolster Lightning’s adoption in the weeks to come. In an announcement covered by NewsBTC, Bitfury revealed that it will begin pushing an open-source LN wallet, a hardware terminal, an e-commerce integration for merchants, and a suite of developer tools to build on the scaling system.